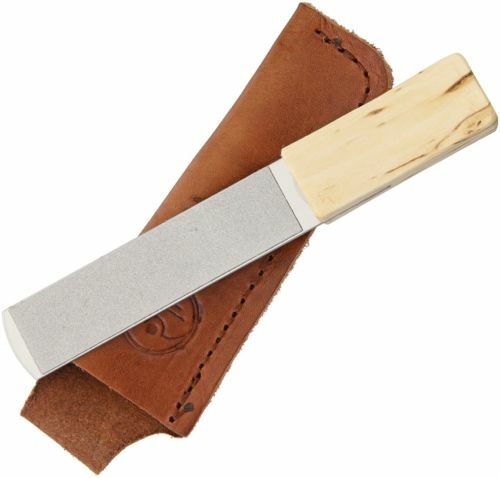 Ergonomically designed handle which is made from the exclusive curly-grained birch wood from Lapland. The design of the handle minimizes the risk of cutting yourself while sharpening your tools and maximizes the utilization of the whole grinding surface. Fine and coarse diamond surfaces. Delivered with a genuine leather sheath with a belt loop.